When we think about the idea of spirituality, we often conceive of it entirely distinct from our physical lives. While it is true that many things which contribute to our spiritual well being (attending meetings, working steps, connecting with a power greater than ourselves) do lack a physical component, our spiritual wellness and physical health are more closely linked than we sometimes realize. One way to better understand this is to focus on the concept of addiction itself. Addiction is a disease. Like cancer, the disease of addiction untreated is both progressive and ultimately fatal. Also like cancer, the disease of addiction has a fundamentally physical component, and it progresses to fatality unless it is at some point arrested. Most addictions have a profoundly destructive effect on the addict’s physical body, and recovery from addiction usually means that the damage done to the physical self begins to heal as well. Long-term recovery from addiction, however, requires that, once physically healed, we continue to grow spiritually. Only with continuous spiritual growth is it possible to stay recovered. What all of this suggests is that our physical and spiritual fitness are inextricably linked. It is practically impossible to be physically healthy and also be in a spiritually unfit condition; and achieving spiritual comfort while being physically ill is more than most of us could want or hope to realize. 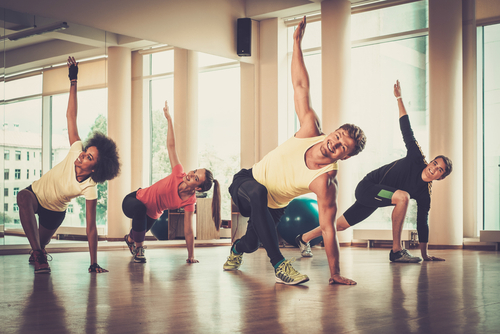 Since spiritual fitness is contingent upon physical health, it makes sense that addicts and alcoholics in active addiction are unlikely to begin recovery on their own. Hired Power can help by providing a variety of services to help those in active addiction become connected with the most healthful and useful recovery services possible. Among these services is providing clients with a Personal Recovery Assistant, or PRA. The value of a PRA in the first 72 hours of recovery in almost impossible to measure. Hired Power’s PRAs provide sober companionship to clients during these critical first few days, helping them with a wide variety of crucial activities, including but not limited to: cleaning the home of unhealthy/dangerous substances and filth; accompanying the client to a first 12-step meeting; accompanying the client to a detox facility or hospital; escorting the client to a short- or long-term residential treatment center. The PRA’s companionship and the valuable support it provides can, and in many cases, should, continue after the 72-hour mark has passed. Someone who has been clean and sober for three days is a newly-sober person whose physical and spiritual healing has only just begun. There are certain to be many days ahead during the which the client is especially vulnerable and as a result will gain particular benefit from having the sober companionship of a PRA. The PRA can provide loving and emotional support during these rocky days and help the client to make decisions that will benefit the client’s recovery. Eating regularly and healthily; engaging in moderate exercise; regularly attending 12-step meetings; connecting with others in recovery at those meetings, and selecting a sponsor; and getting to all medical and psychological appointments on time—these are some of the invaluable kinds of assistance the PRA can help with. What uniquely qualifies Hired Power’s PRAs to provide these services is the fact that each of them is also an active member of the recovery community. Each PRA has successfully gone through the early stages of recovery and has been a highly functioning member of the recovery community for at least 5 years. Thus, the PRA is acutely aware of the power of making healthy choices in early recovery, as well as the dire consequences for making unhealthy ones. Sharing this knowledge with the client helps the client navigate the often turbulent waters of early recovery and reach a plateau of stability and health—a point from which the journey to long-term recovery becomes possible. One way to begin understanding the value of a Hired Power PRA is to think about the value of having an exercise trainer. At first, the exercise trainer’s primary objective is to help the client begin making healthier diet and exercise choices. As the client’s physical health improves, new exercise regimens emerge as waypoints or goals for improving the client’s strength, stamina, and overall fitness. Finally, a client serious about maintaining long-term health will continue to use the exercise trainer’s expertise for refining and maintaining the skills and habits that have become a regular part of the client’s life. Hired Power’s PRAs similarly help clients through the various stages of early recovery and also provide potent guidance for clients who have transitioned beyond early recovery. For long-term recovery to become a reality, most people need to change practically everything in their lives. Becoming an accountable and reliable person at work; regularly attending and participating in 12-step recovery meetings and taking direction from a sponsor; and making healthful decisions about what to eat and how to stay physically fit—all of these things are more likely to happen with a PRA’s assistance. Since all of these factor into a client’s chances at staying recovered, the value of sober companionship—and the effect PRAs can have on helping the client stay physically and spiritually fit—is profound. Ultimately, the PRA can make the difference between someone who remains in active addiction and someone who sustains a stable, healthy, and positive lifetime of recovery.